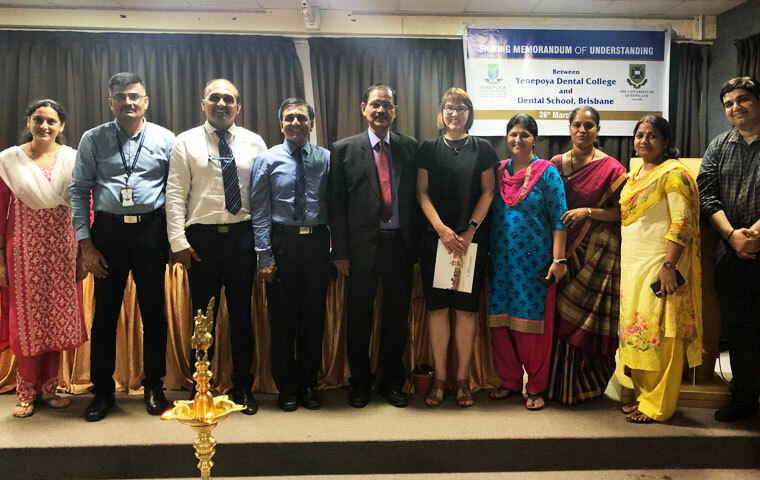 New memorandum of understanding between UQ’s Faculty of Health and Behavioural Sciences and Yenepoya Dental College for academic and research collaboration. Welcome to the School of Dentistry at The University of Queensland. As one of Australia’s leading oral health educators, the School is recognised nationally and internationally for its teaching and research, renowned academic staff, alumni and quality of students.